As dealers for a range of the highest quality, high performance gearbox, clutch, LSD and flywheel components we are your one-stop-shop for the Lotus Elise, Exige and 2-Eleven transmission. The 5 speed Rover PG1 gearbox can be hard to source replacement parts for. We have access to uprated or direct replacement internals for this gearbox. Using our range of upgraded limited slip differentials, gears and final drive components, the 6-Speed Toyota C64 gearbox as fitted to the 2ZZ-GE engine can be built to withstand over 400bhp. 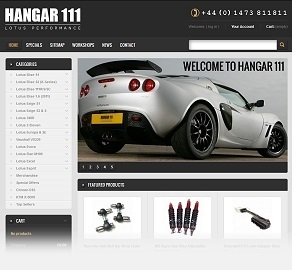 Hangar 111’s range of upgrade Fidanza performance clutches and flywheels mean that whether you are tuning for street use or the track, there are options to perform. Upgrading your gearbox, is essential for racing and frequent hard track-day use. A full rebuild service is available for your Lotus transmission. This means you rebuild with the finest race-proven replacement parts, but also be sure that the final work will be carried out to the highest possible standards. For more details about our product range, visit our online store or contact us.